Have you heard about the emerald jewel of southern Vancouver Island? The Walbran Valley is a vibrant coastal forest ecosystem recognized for its ‘high’ recreational, fisheries, and old-growth biodiversity values. When travelling into the Walbran, the sections of sheer barren slopes are stark reminders of the impacts of unsustainable logging practices. A 1998 report found that the forestry activities, which occurred in proximity to the area slated to be logged by Teal-Jones, resulted in damage to integral fisheries habitat in the Walbran River below. The Walbran River divides the steep east and west faces of the Walbran Valley. This scenic river is teeming with several species of fish, including coastal cutthroat and rainbow trout, steelhead, Kokanee, and coho salmon. 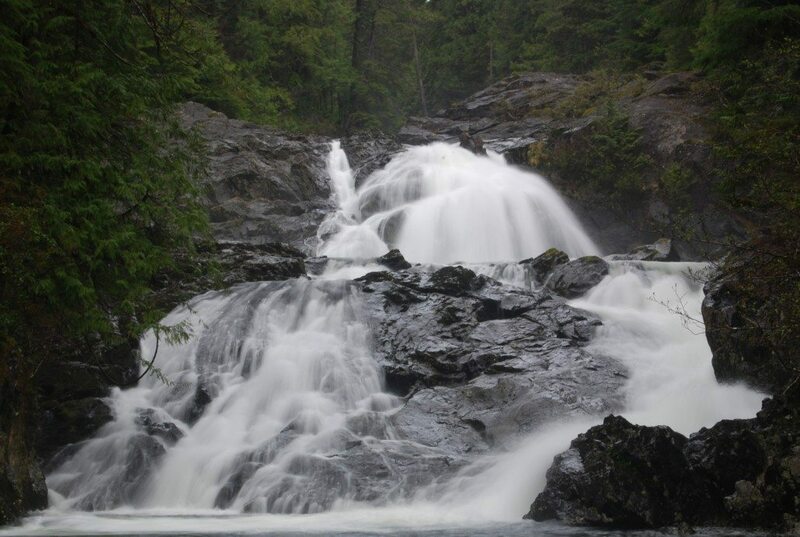 In the fall, endangered Sockeye salmon were spotted in a pool below a magnificent waterfall, attracting the interest of the Watershed Watch Salmon Society to the Walbran. Left undisturbed, old growth forests provide natural water filtration and efficient nutrient cycling. The vegetation cover also helps to keep the water temperatures constant and cool, which is important for aquatic species. By logging on the steep gradients directly above the Walbran River, this increases the risk of soil erosion, leading to sedimentation and turbidity in the waters below. As increased levels of nutrients enter the watercourses, this can result in eutrophication, depriving species of oxygen. Water temperatures also tend to increase with the lack of dense old-growth trees to provide shade. Environmental activists noted that the once clear running creeks in the Glad and Sad Lakes area have become choked with debris, diesel and mud due to the construction of the heli-logging pad. In addition to receiving drainage input from surface streams, the Walbran River is also fed by karst systems, heightening the risk of potential hydrological impacts. 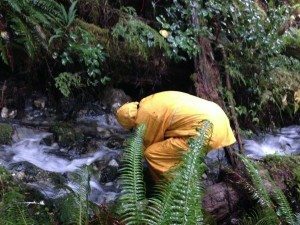 According to Reid Robinson, Chairman of the Karst & Cave Assessment Committee, watershed assessment in BC is fundamentally flawed because it fails to consider the unusual characteristics of karst lands, such as underground flow speed or water storage capacity, both currently underestimated. He states that the development and adoption of a karst model is required in order to appropriately address potential down-slope drainage basin impacts in watersheds with the occurrence of karst. Despite recommendations made by the Stokes Report, a Karst Advisory Team and a Karst Research Panel have yet to be initiated by the Ministry of Forests, Lands and Natural Resource Operations (the Ministry of Forests at the time of the report). While the Teal-Jones Group recently published a document in an attempt to quell rising public concern over karst and other land management issues, it only takes a simple Google Maps search to realize that the Walbran Valley is situated upstream from both the protected Carmanah Walbran Provincial Park and the world-renowned Pacific Rim National Park. The Walbran River meanders its way through the eastern portion of the provincial park, until it flows into the Pacific Ocean at the West Coast Trail unit of the Pacific Rim National Park. Water knows no bounds. The potential impacts of commercial logging upstream in the Walbran Valley don’t suddenly cease to exist at the protected park boundary. The Pacific Rim National Park alone attracts over a million people per year, generating revenue for coastal communities dependent upon tourism. Of the three areas within the Pacific Rim National Park, the West Coast Trail is the most popular, with 60% of tourists frequenting this region (McGillivray, 2011, p. 252). Citing the importance of the Walbran Valley for the economic and social well being of Port Renfrew, the Port Renfrew Chamber of Commerce has called for BC government to rescind approved cutblock 4424 and ban logging of the Walbran Valley indefinitely. With the low Canadian dollar, now is a pivotal opportunity to capitalize on tourism and promote the wonders of ‘beautiful British Columbia.’ However, it is quite unlikely that tourists would flock to an area scarred by commercial logging or enjoy a recreational fishing excursion if unsustainable land use management impacts the salmon populations. 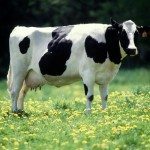 It’s time for the B.C. government to outlaw the archaic practice of harvesting our last remaining old-growth trees, which provide a myriad of economic, biological and cultural benefits to the province. Because it’s 2016. Aley, T., Aley, C., Elliott, W.R., and Huntoon, P. (1993). Karst and Cave Resource Significance Assessment Ketchikan area, Tongass National Forest, Alaska. Final Report, prepared for Ketchikan Area of the Tongass National Forest.